The Foundling Museum tells the story of the Foundling Hospital which was founded in 1739 to care for babies at risk of abandonment and continues today as Coram. The Hospital was the UK’s first children’s charity and its first public art gallery. The Museum was established as a separate charity in 2004 to preserve, display and purchase the Foundling Hospital Collection on loan from Coram, and to care for the Gerald Coke Handel Collection, the world’s largest private collection of Handel memorabilia. Today its dynamic programme of exhibitions and events celebrates the ways in which artists of all disciplines have helped improve children’s lives for over 250 years. 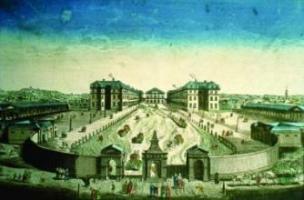 Through inspiring art, poignant artefacts, original period interiors and archival documents, visitors can discover the story of how the philanthropist Thomas Coram and his creative supporters, the artist William Hogarth and the composer George Frideric Handel helped established the Hospital, and explore the lives of the children who grew up there from 1741-1954.